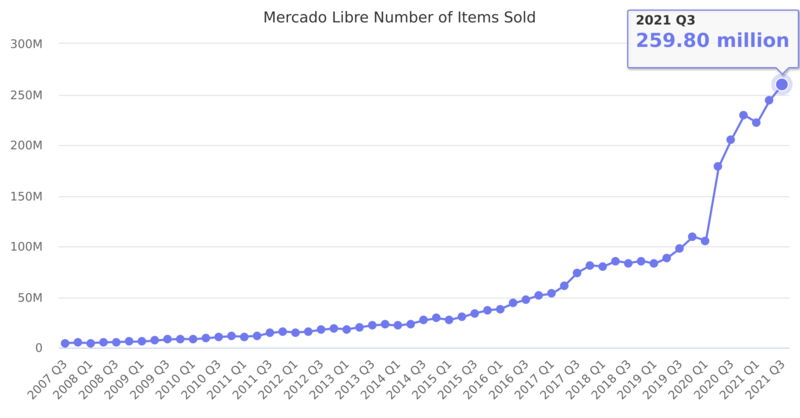 This is probably a better metric than Gross Merchandise Volume (GMV) to understand MercadoLibre growth, because GMV is affected by currency exchange rates. Last reported quarter 2018 Q3 it was 83.50 million, up by 13% year-over-year from 74.20 million. From 181.20 million in 2016 it increased by 49% to 270.10 million in 2017.